The annual meeting of History Education Hawaii, Inc., the Hawaii council of the National Council for History Education, is scheduled for Thursday, September 26, 2013. It will be held in the eighth floor conference room at 3:00 p.m. at 800 Richards Street, Honolulu, Hawaii USA. "When the Hawaii Statehood Admissions Act of 1959 came to a vote..."
On that day, a young man, just elected to Congress from the brand new state, walked into the well of the House and faced the late Speaker Sam Rayburn. The House was very still. It was about to witness the swearing in, not only of the first Congressman from Hawaii, but the first American of Japanese descent to serve in either House of Congress. ‘Raise your right hand and repeat after me,’ intoned Speaker Rayburn. The hush deepened as the young Congressman raised not his right hand but his left as he repeated the oath of office. How did an 1876 theater fire in Brooklyn change how welfare assistance was distributed in American cities? Did the fugitive slave who hid for a night in Harriet Beecher Stowe’s home in Brunswick, Maine in 1850 shape the writing of Uncle Tom’s Cabin? And what did the world of colonial Boston look like from a seat in the Mather family’s high chair? The summer 2013 issue of Common-place, published by the American Antiquarian Society, will answer all of those questions, and more. Edward Griffin and Kacy Dowd Tillman offer two different takes on the Loyalists, Sophie White talks about her research on clothing and identity in colonial Louisiana, and Sarah Blackwood gives us notes on a famous 1864 photograph of Abraham Lincoln and his son Tad. Word reached us in Honolulu of the passing of Pauline Maier, the William R. Kenan, Jr., Professor of American History at the Massachusetts Institute of Technology (MIT). 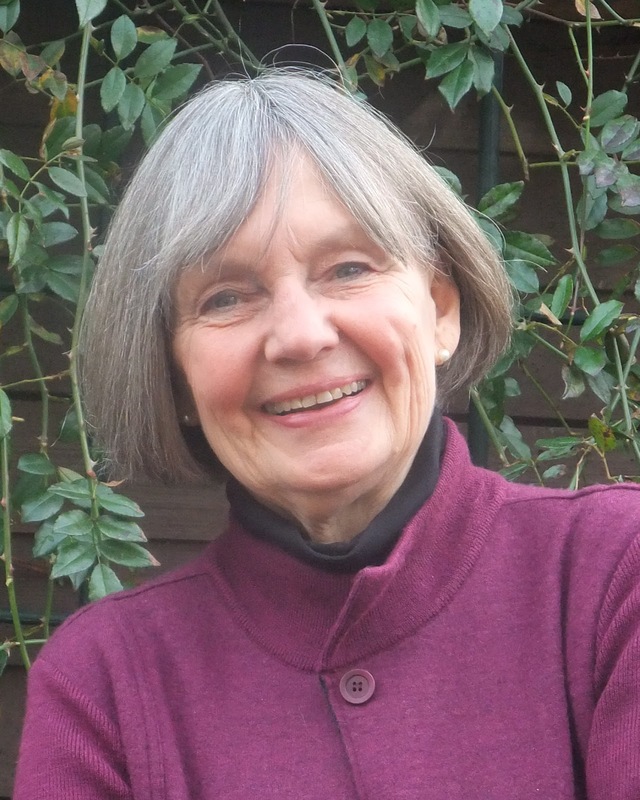 Professor Maier's fifty-year career included a prolific body of academic research, article publications, books, online courses and public speaking engagements. She appeared numerous times on C-SPAN, the History Channel and PBS. In 2011 Professor Maier was elected president of the Society of American Historians. The New York Times published an obituary that you can find by clicking here. Her publisher, Simon & Schuster, features an official page for Pauline Maier on its web site. History Education Hawaii, the official state council of the National Council for History Education, extends its sincerest aloha and condolences to Professor Maier's family, colleagues, students and to all who were touched by her enthusiasm and dedication for history and history education. She will be sorely missed. Did you know lei makers in Hawai‘i applied their special skills into making camouflage nets to help with the war effort during WW II? Learn more about their amazing contributions as well as the roles women played in WW II Hawai‘i at the 7th Annual Distinctive Women in Hawaiian History Program taking place Sun., Aug. 25, at the Hawai‘i Convention Center from 8 AM to 5 PM. Registration is open for the 7th annual Distinctive Women in Hawaiian History Program presented by the Hawaiʻi Council for the Humanities. Legendary Hawaiian songstress Marlene Sai, with dance innovator Kumu Hula Michael Pili Pang, and iconic Hālau Hula Ka Noʻeau feature the music and hula style prevalent during wartime. The annual conference of the National Council for History Education (NCHE) will be held March 20-22 at the University of new Mexico at Albuquerque. To many Americans, the word “frontier” conjures up a familiar yet distinct image of self-reliant pioneers subduing the American wilderness for the benefit of future generations. The notion of the frontier as a place that shaped a unique American identity and forged a democratic American society – grounded in the scholarship of Frederick Jackson Turner and the dime novels of Ned Buntline, and burnished by subsequent generations of popular writers, film directors and television producers – is almost unassailable mythology today. In Europe, though, frontier signifies something different than in the United States – it means “boundary.” The American concept of frontier is seemingly dynamic – it doesn’t refer to a fixed place but rather to something on the move, constantly being pushed back. A national boundary, on the other hand, presents a static appearance, although any student of history knows how unstable countless national boundaries have proven to be. When he accepted the Democratic Party’s nomination for president in 1960, John F. Kennedy spoke in rather abstract terms of a “New Frontier,” a “frontier of unknown opportunities and perils, … of unfilled hopes and unfilled dreams” – a frontier that beckoned from the future, rather than recalled the past. No matter how they are defined, all frontiers are, at some point, new. The National Council for History Education invites proposals for presentations and poster sessions on the theme of “New Frontiers in History” for its 2014 conference in Albuquerque, New Mexico. Explore how the challenges posed by frontiers – new or old, concrete or abstract – have shaped the ebb and flow of history. Consider how boundaries – not merely those between nations, but between public and private sectors, between church and state, between genders – have shifted or been redefined throughout history. All proposals will be evaluated on their intellectual content as well as their ability to engage the audience – that is, whether they are historically accurate and address interesting and important questions appropriate to historical inquiry and effective teaching. Have you developed a unique strategy for teaching history that you would like to share with other educators? Did you perform research that provides new insights into a historical topic? Have you participated in a history institute and would like to share your knowledge with others? History Education Hawaii, the official Hawaii council of the NCHE, invites you to submit a proposal. 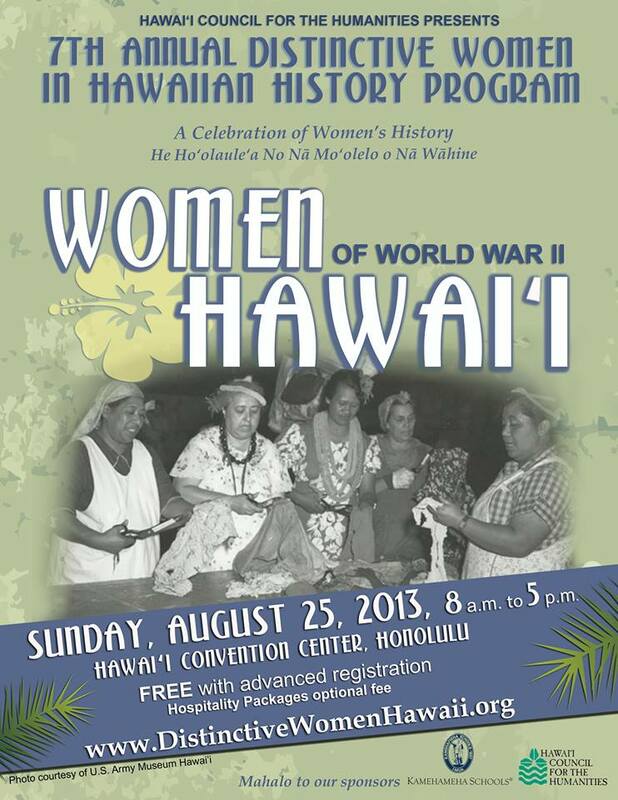 Hawaii history teachers, historians, students and history buffs are strongly encouraged to participate! NOTE: Submission deadline is September 23, 2013. Click here for further details. Questions? Please contact John Csepegi at john@nche.net or call (240) 696-6612. 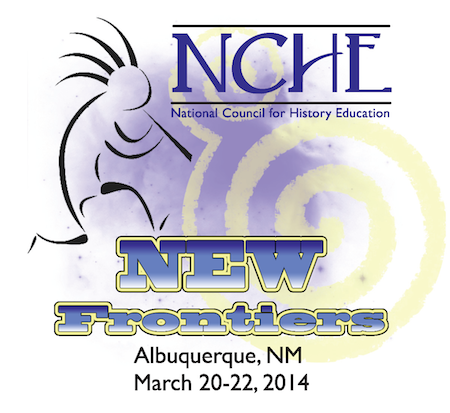 The National Council for History Education (NCHE) is holding its 2014 Conference March 20-22 at the University of New Mexico, Albuquerque. NCHE has just announced that its 'Early Bird Registration' is now available. The rate will increase on November 1, 2013. Click the hyperlink featured here. On Saturday, August 10, Living History Day was celebrated and enjoyed at the Pacific Aviation Museum Pearl Harbor, Hawaii. Living History is an educational strategy used by many museums, historical sites which incorporates the active roles of heritage interpreters. Their presentations to museums guests are interactive, often focused on such historical areas as reenactments, events, with many interpreters dressed in period costume. It gives museum attendees a sense of going back in time. We were also privileged to have at the museum a number of young historical scholars with exhibits they research and designed themselves! 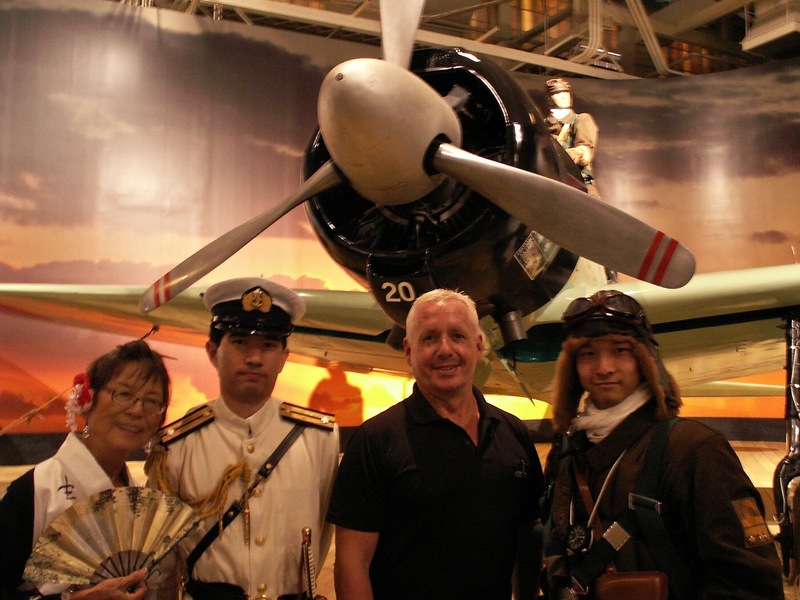 Below are pictures from Living History Day at the Pacific Aviation Museum. Enjoy! As American colonists watched the Stuart kings and Parliament of England battle for dominance in the 17thcentury, a similar struggle was occurring amongst the royal and proprietary governors of the colonies and their popularly-elected assemblies for sovereign power. These conflicts on both sides of the Atlantic pitted different branches of government against each other, and ultimately resulted in the legislatures gaining dominance over their corresponding executive. In the 18th century, England abandoned the policy of benign neglect towards the colonies in favor of imperial dominance. This shift fostered a debate focused on federalism – a principle of competing sovereignties that sought to determine the rightful place of the colonies within the British Empire. It also heightened tensions between the colonists and England and resulted in the Declaration of Independence by the colonists. In 1787 the founders proposed and soon adopted a Constitution that redefined federalism as it relates to Congress and the states. Since the 1790s the concept of sovereignty has stirred debate throughout the country, and is central to many of the headline-making political stories in the news today. In Hawaii, an understanding of sovereignty in this historical context is useful in the debate on the issue. Please join us for this enlightening evening with Constitutional scholar and Director of the Center for the Study of the American Constitution at the University of Wisconsin - Madison, John Kaminski. This lecture is open to the public. It will be held 6:00 p.m. -7:15 p.m., at Aliiolani Hale, 417 South King Street, Honolulu. To register online go to this link. Please contact Keahe Davis at (808) 539-4999 or by email.